As the political, social, and economic crisis in Venezuela worsens, more and more Venezuelans are fleeing their country. Countries across South America are responding to the exodus, and the international community is increasingly looking for opportunities to support humane responses on the ground, particularly in neighboring Colombia and Brazil. Since the start of FY2017, the United States committed roughly $56 million in funding to governments and non-governmental groups in the regional response to Venezuela’s exodus, and has pledged to continue offering support. In a new report by research and advocacy group the Washington Office on Latin America (WOLA), Responding to an Exodus: Venezuela’s Migration and Refugee Crisis as Seen From the Colombian and Brazilian Borders, WOLA experts Geoff Ramsey and Gimena Sánchez-Garzoli offer an overview of the mixed response so far. The report draws from extensive documentary research conducted by WOLA’s Colombia and Venezuela programs over the last decade, as well as a 10-day visit to the Venezuelan border with Colombia and Brazil in April, 2018. Regulations and policies imposed by the Colombian government have made it difficult for Venezuelans to access much-needed humanitarian aid. This includes access to shelter, medical care, social programs, and employment opportunities essential to mitigating the risk that Venezuelans may become vulnerable to recruitment by armed criminal groups active along the border. The United States and the international community should call on Colombia to improve access to these humanitarian services, and likewise ensure that the civil society groups and international organizations responding to the crisis receive the support needed to ensure a humanitarian response to Venezuela’s migration crisis. Brazil has adopted a more humane response to the flow of Venezuelan migrants, but the country’s reliance on the military, rather than civilian agencies, is a major concern. Brazilian security forces are rarely held accountable for abuses against civilians, and given the already vulnerable status of Venezuelan migrants, placing the armed forces in charge of responding to the crisis raises serious human rights concerns.. The United States and the international community should call on Brazil to end its reliance on the armed forces as the primary facilitator of the national government’s response to Venezuelan migrants, and transfer all responsibilities that do not involve logistics or transportation to civilian agencies responsible for documentation, health, and social services. 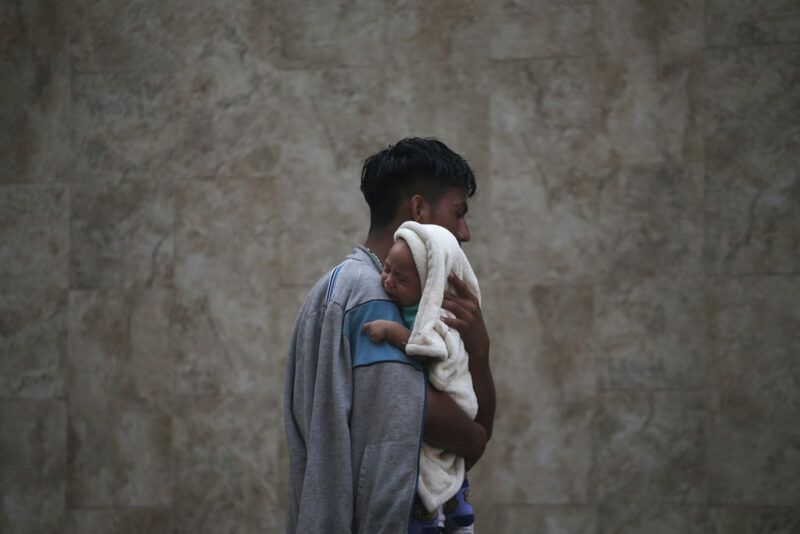 The lack of documentation for Venezuelan migrants and refugees has created special challenges for those seeking to formalize their immigration status. Due to the ongoing crisis, it is difficult for most Venezuelans to obtain basic, up-to-date documentation (such as official IDs or passports) necessary for travel and, in most countries, to formally apply for residency or protected status. By implementing regulations that require Venezuelans to show documentation in order to access shelter or other services, Colombia has done little to deter Venezuelans from crossing the border into their country, and instead has only forced them into a more vulnerable position.